Mother’s Day is the day of the year that we all come together to honour the women in our lives. I don’t believe it’s a day only for ‘Mums’, but instead for women who’ve had any input in your life. Whether that’s biologically or in any other way. It’s a day for expectant Mummies, Mums of any description, Nans, Nanna’s, Aunties etc…If a woman has had an influence in your life then Mother’s Day is the day that we as a society honour that. As a Mummy myself, its the day that I get a lovely handmade card from my little man and reflect on how blessed I am to have him in my life. It’s also the day I chose to celebrate my own Mum, and I do this by buying her a nice gift, spending time with her and making sure she knows that I’m grateful for everything she’s done for me. So, this year when I was looking for something special for her, I found some really amazing ideas. So amazing in fact, that I wanted to share them with you all, and make it a little easier on those who don’t have the time to shop around..
Lots of you went crazy for the pictures I tweeted about this amazing company. And let me tell you, they are every single bit as amazing as the pictures show – more so! If your Mum is a tea lover, then HoneyBella have got you covered with a massive choice of tea themed items from cups and saucers, to fuso bag tea in a range of flavours. Everything for the modern day tea lover, HoneyBella is a must if like me, tea is your thing, or your Mum’s! I have to personally recommend this beautiful Miss Etoile Teapot & Teacup which is probably the most feminine, girlie and beautiful tea set I’ve ever seen and it would make the perfect gift this Mother’s Day. HoneyBella also give you the option of choosing your items and creating your own hamper, like I did. For an extra £5 you get a beautifully wrapped and presented gift box to give your mum this Mother’s Day with all her tea lovers goodies inside. As a special treat, The HoneyBella Tea Company are also giving all of my readers 10% off their entire order! 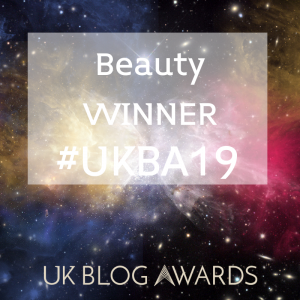 All you need to do is use the code:LADYWRITES10 at the checkout…did you need another reason to buy this gorgeous teapot?! Thought not! …Don’t forget to follow HoneyBella here on Twitter too. I’m a big fan of hoarding photos and I have as many of my son on show as possible throughout my house – but I can’t show them all can I?! A Mother’s pride for pictures of her children knows no bounds, so a personalised phone case from Photobox is the perfect gift this Mother’s Day. It means your Mum can have her favourite pictures and memories on show all day, whether she’s at work or out and about. Prices start at only £10 and they cater for a wide selection of phone models too. They also have a big selection of layouts and templates for you to choose from and then you just pick your photos and create your very own, personalised case. You can upload pictures directly from social media or from the computer, and the whole process is really easy. I loved spending an hour or so playing around with designing mine and when it arrived I nearly cried, it’s so lovely being able to see my favourite picture of Josh and I on display and with me all day when I’m at work and away from him. 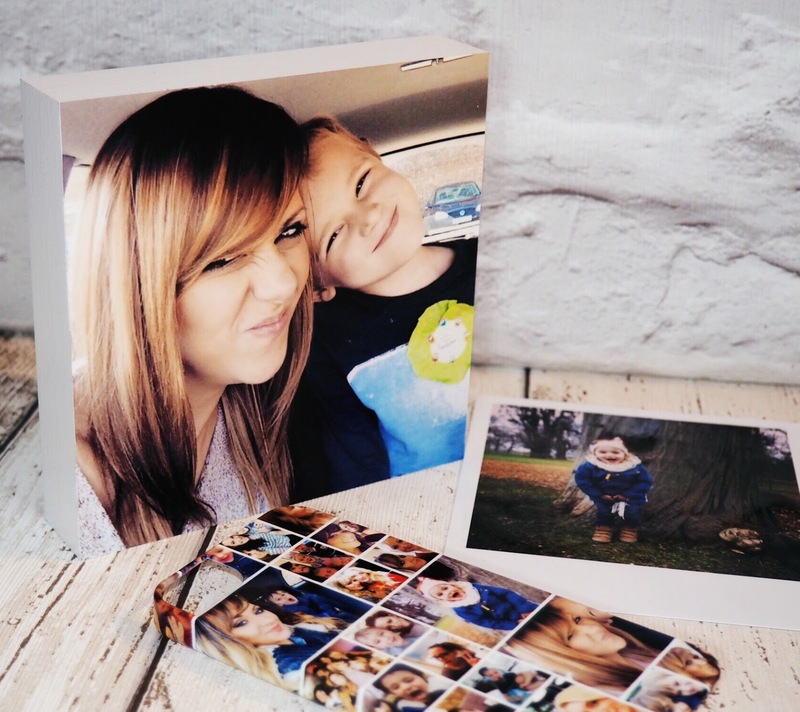 There are a huge amount of other gift options too, including cushions, notebooks, memory books and my other personal favourite, these personalised photo blocks which are perfect for the desk or as a home decoration. And for the retro loving Mum, why not get some of her favourite pics printed as retro style polaroids? Follow Photobox on Twitter here. Who doesn’t love cute and girly socks? I know I do! 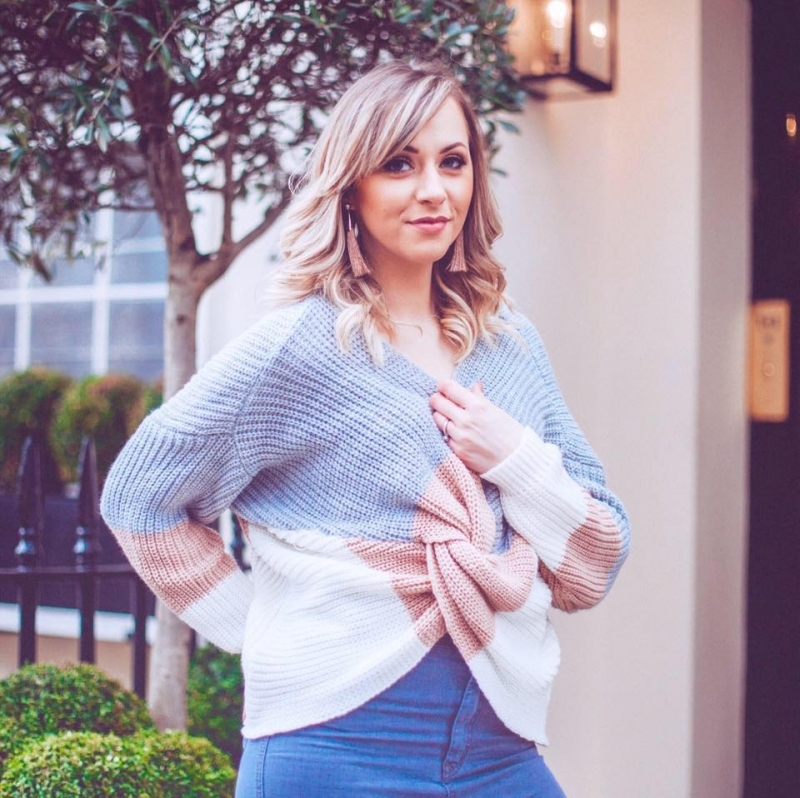 And I always find that nice socks are the sort of thing that you can never justify buying for yourself – so Mother’s Day is the perfect opportunity to treat your Mum to a pair of socks that will make her tootsies look spectacular! The gorgeous gift boxes from London based fashion brand, Studio Hop, are perfect. Each set comes in a there pack, all boxed up and looking cute and you can pick from a variety of different themes. My personal favourites are these Polka Dot Animal sets and I’ve got my own mum a box of the Polka Dot Cat socks, as she’s an actual cat woman. No, really, she is. These socks are excellent quality, super comfy and only £12 each which makes them a super cute gift and great for these cooler months and keeping a smile on your Mum’s face! Plus Studio Hop also have an absolutely stunning range of scarfs in a variety of styles and colours too. Check out the Studio Hop website here. What gift guide of mine would be complete without some beautiful stationery?! I had been scouring the net trying to find the perfect Mother’s Day gift worthy stationery and nothing compared to the items from Busy B.
I’ve been an admirer of the Busy B brand for quite a while now and their latest New Fashion range is so pretty and feminine that it’s all perfect for Mother’s Day. Not only that but everything is really practical too. I chose the cute A6 Notebook and my favourite item of the entire range, the Pretty Little Pouch. It’s a stunning navy blue leather type zip bag which is just the right size for storing handbag bits and pieces in. It’s going to be the perfect size for passports, bank cards and of course the matching notebook! I genuinely love this range and know that any Mum would love to open one of their items on Mother’s Day. Follow Busy B on Twitter here. 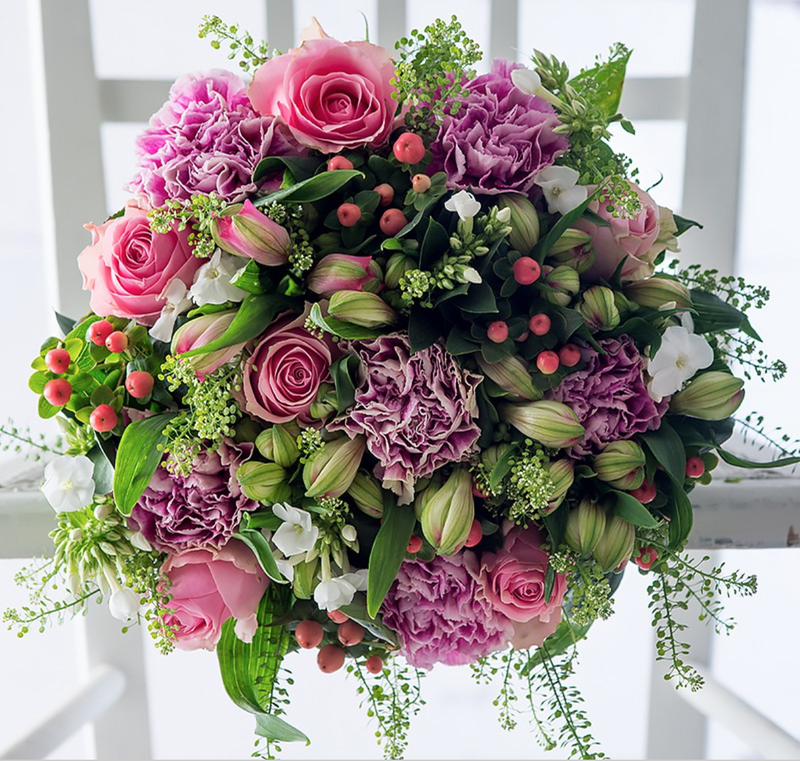 Designer London florist, Appleyard London have released their Mother’s Day selection of stunning arrangements. I LOVE flowers on special occasions and Appleyard are one of my favourite florists as their attention to detail means that their flowers surpass other in the market. I’ve never seen such beautifully arranged flowers and I highly recommend them. I picked the Secret Meadow arrangement because I love the whole natural and secret garden looking type bouquets and this didn’t disappoint. Mine got delivered to me at work and every single women in the office admired how pretty and lovely the arrangement was. There was a great amount of pink roses, carnations and some seriously pretty berries to add that real meadow vibe. There is a whole selection of beautiful arrangements for Mother’s Day on the Appleyard website and as as a special treat from me to you, all of my readers get 33% discount off their purchase! All you need to do is use code: BLOG33 at the checkout. So to get your Mother’s Day Flowers Delivered make sure you check out Appleyard. So, I hope you’ve found something special here to treat your Mum to this Mother’s Day and don’t forget the date – it’s Sunday 6th March!